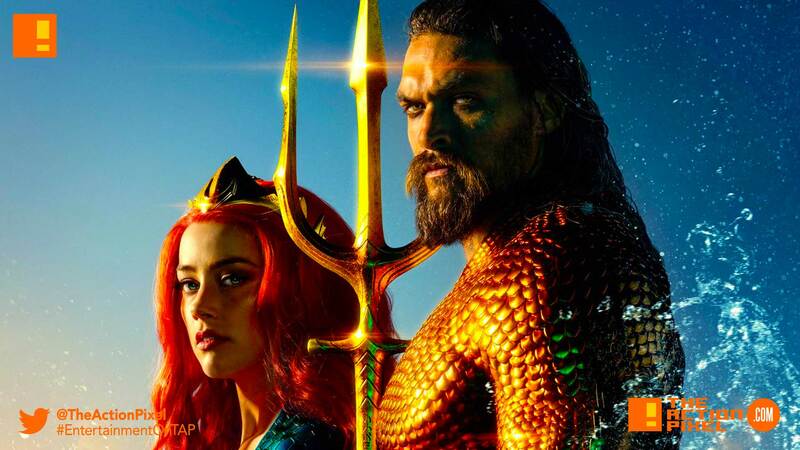 Jason Momoa’s Arthur Curry brings some new-found majesty in a set of new posters for the coming DC Comics’ aquatic superhero movie – Aquaman. The first poster brings the Aquaman from the veil of waterfall curtains complete with classic suit and trident. The second has him standing alongside Amber Heard’s Princess Mera basking in sunset colours.